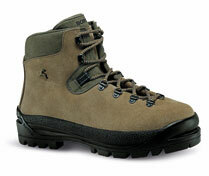 UPPERS: One piece premium quality waterproof and reinforced 2.8 mm. Nubuck leather. Fully padded for superior comfort and thermal isolation. 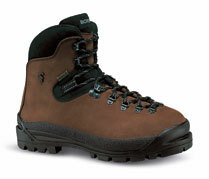 SOLE: Boreal Mount FDS-3 with triple density rubber. Plus10 mm. EVA-Pro midsole for shock absorption and thermal insulation. Crampon compatible. USAGE: Rapid high mountain winter ascents. Long mountain traverses. Technical trekking. 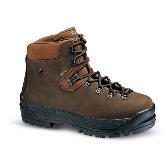 Definitive 3-4 season mountain boot. Boreal have been manufacturing leather mountain boots for over 40 years and when working with natural leather there is no substitute for experience. At Boreal each hide is individually inspected for the slightest imperfections and is cut by hand to ensure a high quality finish.The upper of Fuji is largely constructed from a single piece of premium quality 2.8mm nubuck leather. This elegant one-piece construction with minimal stitching offers the very best long-term reliability. Our unique Dry-Line® lining system is fully waterproof and has superior moisture vapour transfer performance to help keep your feet dry in all weathers and our famous triple density co-moulded FDS-3 sole unit combines three different rubber compounds to provide class leading grip on varied terrain. Fuji is compatible with strap-on crampon designs making it ideally suited for all-seasons trekking.